Excellent service and great hospitality, Apollo Cradle gives what a patient exactly needs. I came here for my delivery and had a great experience. The hospitality is unmatched. The staff is soft-spoken and well-behaved and does everything to give you the most comfortable environment. Rooms are well equipped. Hygiene is ensured in both rooms and washrooms. Great work, Dr Ranjana! I came to Apollo Cradle for a procedure and had a great experience here. From the staff to the facilities provided, everything at Apollo Cradle is excellent. 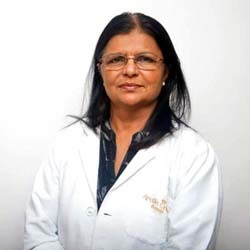 Dr Ranjana is responsive and soft-spoken. Hygiene is ensured throughout the property. The meals are provided on time and are of good taste and quality. I loved the services here and would pick it in future as well. I came to the Apollo Cradle, Nehru Enclave for my delivery, which was performed by Dr Ranjana. Owing to the excellent staff and great facilities, I had a good experience here. My stay here was made easy by the staff and the care extended by them. The room and washrooms were clean and had all the basic amenities. I would surely pick Apollo in the future and would recommend it to my friends and family as well!